If you’ve been around in the industry, you’ve probably heard that one a number of times. You probably even had the er, pleasure, of interacting with clients who’ve been window-shopping for the cheapest website. Apologize and offer lower rates – this is usually done by newbie designers, who just want to get hold of any client at all. Walk away in a huff – this is usually senior, experienced designers, who know the value they bring to the table. If they’re smart, they’ll skip the ‘huff’ and just leave gracefully, knowing the client is not the right fit for them. Catch is, most of us fall in between those categories. We’re not newbies desperate for clients, and on the other hand, we can’t afford to walk away from too many clients. We’re looking for a mid path where we can charge a good rate that genuinely reflects the quality of our services and the value we bring. So how do you address this problem? What do you do when clients think you’re quoting too high? They just don’t have that kind of budget. In this case, unless the client has a really high visibility project or something so close to your heart that you’re willing to work for free, politely decline. Don’t haggle. It cheapens you. You could perhaps offer to work out a smaller part of a project for the lower fee. Offer whatever free help you can at the moment like links to other resources to make the website themselves, or recommend a designer that fits their budget. They do have the budget, BUT they feel the price exceeds the value of your services. This means you haven’t really pitched them well. You need to work on making potentials clients understand, and appreciate, the value and the benefits of working with you – in your pitch ie before you even quote them a rate. Here’s concrete steps on how to prep potential clients to appreciate the value of your web design services. Too many new business owners think of a website like an online business card. When they approach a designer, the only idea in their mind, is that they need a website – and no specific idea of what they want. The prettiest or shiniest new thing will do just fine. Make them understand that a website isn’t just about looking pretty. The real goal of a website is to generate revenues. A website is about creating value for your viewers – identifying their pain points, connecting with them, building trust, and then ultimately leveraging that connection, that trust, to make a sale. An effective website is your best salesperson. Anyone can put together a website – even for free. But designing for both conversation and conversion is a special skill set that doesn’t come cheap. Designing a website is not about pulling up a template and putting in some graphics. There’s a whole lot of research that goes into the right kind of layout, the graphics, the colors, the fonts and every other aspect of the website. As part of your pitch or proposal, explain your process to prospective clients. How do you do the research, figure out the layouts, choose color schemes etc? While you may not want to, explaining this helps prospective clients understand, and appreciate, the kind of effort required and the level of detail you put into for creating elegant and effective websites. When going through the design process to finalise things like layout and color scheme, many new business owners tend to choose a color/layout that they like. Or their spouse likes. But the real test of any website is whether it provides viewers what they came looking for, and then entices them to stay long enough to subscribe or buy. So, keep the focus to their end customers, right from the start. In your proposal, show that you understand their audience, their dreams, their fears. When it comes to engaging viewers, and building trust, you already know what will go down well with their audience. Highlight where and how you bring your insights into play. 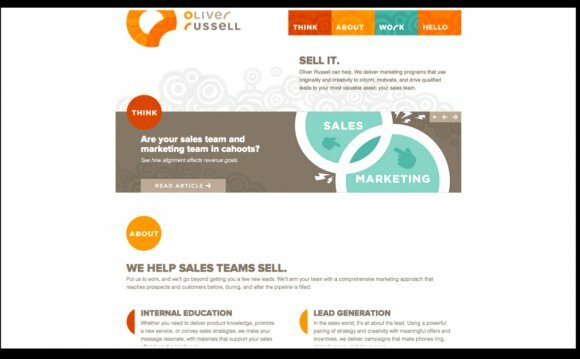 There are many free templates and cheap design studios that could put together a website for anyone. On Fiverr, you have people setting up WordPress sites for $5-$40. If that’s the kind your client wants, then great, gently redirect them to Fiverr. You’re not in that race. and then share it with your clients in the discovery process, or in one of the early discussions. You may have created a nice brand and website for yourself – but don’t assume your prospective client already ‘gets’ it or will ‘get’ it once they start working with you. At some part of your pitching process, take a few minutes out to explicitly talk about the unique perspective and skills you bring to the table – what your USP is all about. Showcase the years of expertise you bring. Share stories from other happy clients in similar industries.